Holy Mounds, Sacred Springs. Prehistoric mounds and their landscapes. One way of identifying mounds with potential for prehistoric origins is to look at the landscape settings of known prehistoric mounds and target sites in similar settings. Recent work on three huge mounds in Wiltshire has proved invaluable. Jim Leary, David Field and Gill Campbell. 2014. 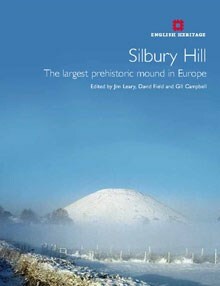 Silbury Hill: The largest prehistoric mound in Europe.